Electric Lifting Hoist electrical wiring connection whether reliable. Electric Lifting Hoist, all explosion-proof parts of the housing bolts, check one by one, must be tightened. 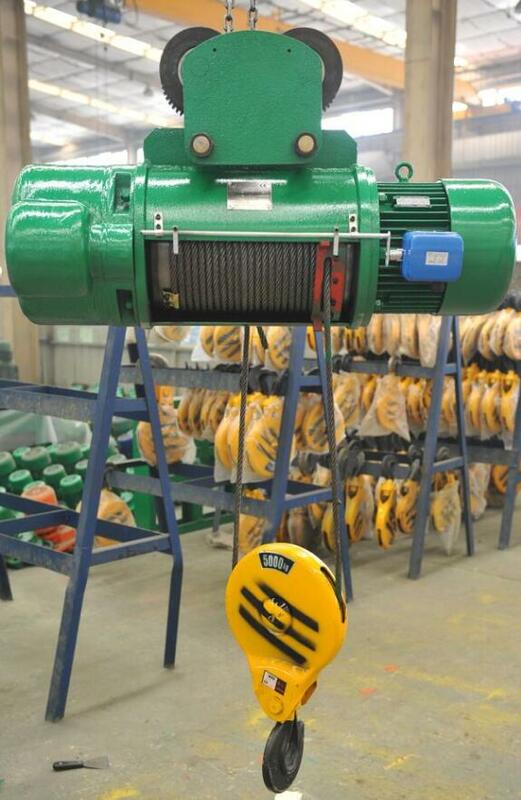 Electric Lifting Hoist limiter whether flexible and reliable. Electric Lifting Hoist all lubrication components must be lubrication, so as not to affect performance in normal working conditions. When the line is connected, check whether the direction of the explosion control button is in accordance with the direction of operation. Lifting limit switch before the formal use should check the limit switch action position is the same as that of lifting motor, if it does not conform, the wiring shall be changed. Does the electrical device of the Electric Lifting Hoist comply with the type of power supply and the working voltage at the installation site? Electric Lifting Hoist before normal operation, inspection work must be carried out, can not be ignored, so as to avoid trouble during operation, safety accidents.